Why do some companies come and go while others endure? 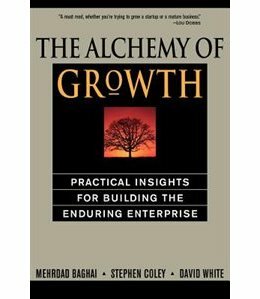 According to McKinsey & Company, Inc. consultants Mehrdad Baghai, Stephen Coley, and David White, the secret to a lasting enterprise is sustained growth. The authors describe the approaches that have succeeded in helping their corporate clients around the world to step up the pace. For instance, companies must simultaneously focus on “three horizons” critical to growth. The first is the current bread-and-butter of the firm; the second, the fast-developing entrepreneurial ventures; and the third, the ideas that will germinate into tomorrow’s profits. The best part of the book: the real-life examples of firms that have transformed themselves from laggards to supercharged growth companies. Take Disney, for example. After founder Walt Disney’s death in 1966, the company stagnated, with its theme park and film business slipping. But after Michael Eisner took over in 1984, Disney boosted its average annual returns to 29 percent, on the strength of growth in such new avenues as Disney stores, ESPN, and resort development.